Yuliya Ilizarov, AIA is a graduate of the Bachelor of Architecture program and the CUNY-wide Macaulay Honors College. From 2010 to 2018, she worked at CWB Architects – a 30-person Brooklyn-based architecture and interior design firm – and served as the firm's managing director since 2014. She has volunteered with AIANY's Design for Risk and Reconstruction committee since 2015, helping organize programs on the potential for the design community to mitigate and adapt to disasters through the built environment. In 2013 she co-founded the non-profit The Chocolate Project, a project-based curriculum program that explores the connection between our economy and nature and teaches students how to be stewards of our environment through business. Yuliya is currently pursuing a Master of Science in Organizational Change Management at the New School with minors in Impact Entrepreneurship and Migration Studies. Her goal is to augment her design and management skills and work to address the plight of displaced people globally. Outside of graduate school, she’s a career development volunteer with Catholic Charities Refugee Resettlement Office, and a strategic planning consultant for ARCHIVE Global, a non-profit that works at the intersection of public health and the built environment. She also started her own architecture practice and co-founded a construction management company with her partner. 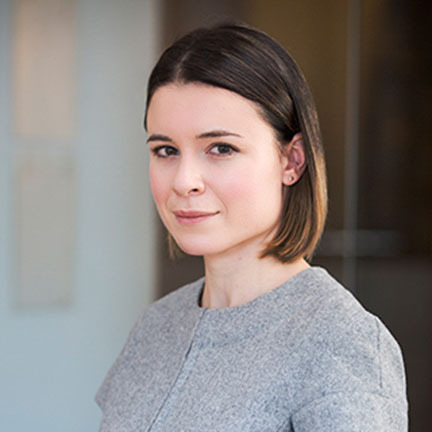 Yuliya has served on the Architecture Alumni Board since 2009, and previously served as the group's Treasurer. In 2018 she was nominated to serve a three-year term on the City College wide Alumni Board.